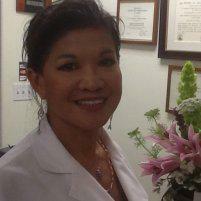 Dr. Evangeline Amores always appreciates feedback from her valued patients. To date, we’re thrilled to have collected 15 reviews with an average rating of 5 out of 5 stars. Please read what others are saying about Dr. Evangeline Amores below, and as always, we would love to collect your feedback. At Aesthetic Dental Center of Union Square we are happy to work with you regarding insurance coverage for your treatment, including a flexible payment plan with CareCredit. We accept checks, cash or credit cards, and most traditional insurance plans. Please contact the office or see our Financial Coordinator for details. Financing Options CareCredit offers No Interest* financing, or low minimum monthly payment options, to help you pay for treatments and procedures your insurance doesn't cover. Use it when and how you want it. CareCredit can also be used for your family members, including your pets.